Eclipse your competition with the Ebonite Eclipse Triple Roller bowling bag. 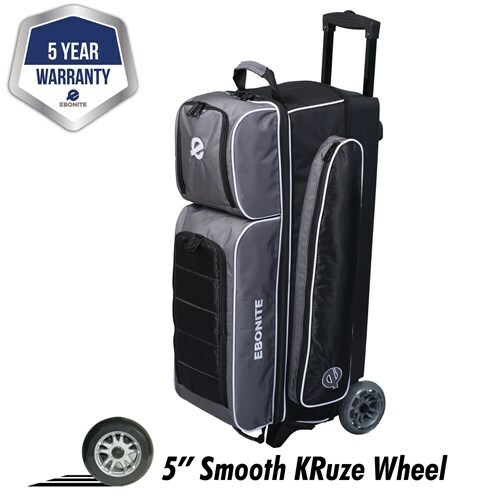 This quality bag provides plenty of space for 3 bowling balls, shoes and lots of accessories. The color coordinated wheels are an added perk to this already great bag. Due to the time it takes to produce the Ebonite Eclipse Triple Roller Smoke ball it will ship in immediately. We cannot ship this ball outside the United States.